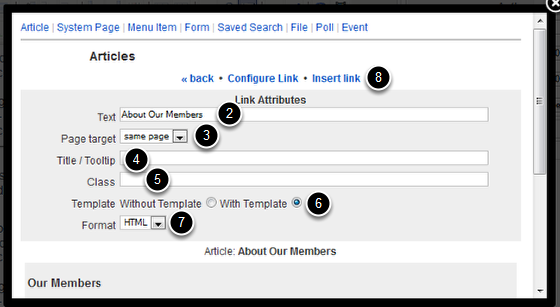 This will show you the steps involved in adding a site link to any article or contact center message. 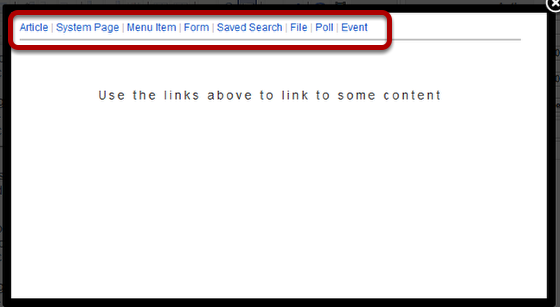 A site link is a link to any page, file, form, event, etc. within your MemberClicks site. Click here to view the available site link options. 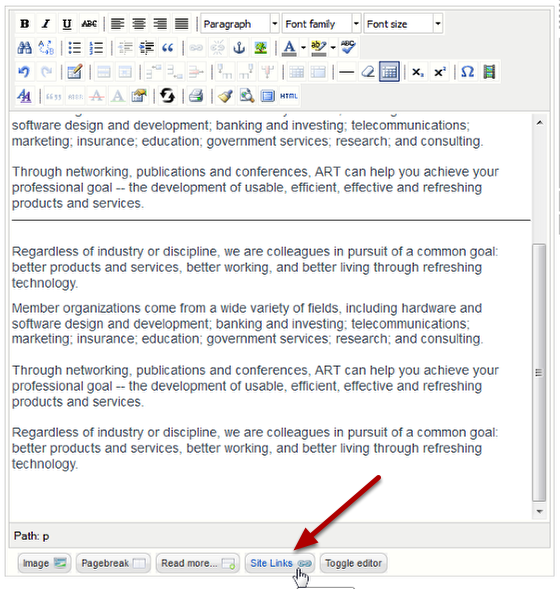 To add a link to a page or document outside of your MemberClicks site, please see Insert a Link. 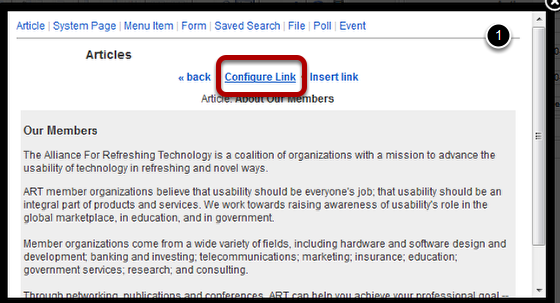 Once you choose the item to link to, click "Configure Link"
Click here for a video on inserting site links and images.